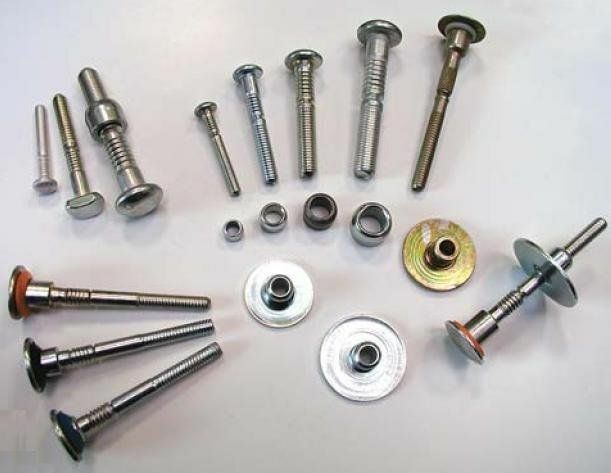 The Rivit blind bolts are quick fastening system that is intended for applications that need a strong mechanical resistance in parts subject to high vibrations. The system is equipped with a bolt and collar. The collars can be made up of an aluminum, a zinc plated steel and stainless steel. The blind bolts vary in lengths and diameters. They are available in aluminum, zinc plated or stainless steel. They may have a dome or countersunk head. The products are suitable for the applications involving ventilation, metal structural works, shipbuilding, railway construction, automotive and in the applications where disassembly is not required.